Wood and wooden products are the important aspect of our day to day life. Wooden products are used as extensively as metal products. Srichakra Engineering Equipments manufactures hydraulic particle board press for the production of particle boards, block boards, MDF (medium density fiberboard) boards and other wood derived products. They are available in different tonnages and day lights. We have supplied our particle board press to many destinations across the globe. 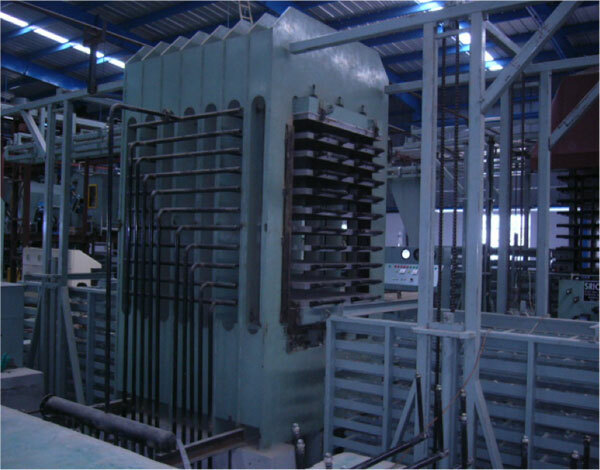 Our presses are known to be producing finest grade MDF and particle boards. Known for high performance, quality and accuracy, these are widely appreciated by our clients. We deliver these presses to any parts of the world in quickest possible time since we have networks across the globe. Our presses are offered at very competitive price. Fabricated using finest grade raw materials, they can be used for any complicated requirements. Our particle board presses are available in predefined specifications and as well as customized requirements. The design, features, capacity can be changed according to the requirement of our clients. We follow stringent quality checks in our entire manufacturing steps so that we achieve flawless products. We ensure that the delivered products are defects and error free. Proper testing for functionality is carried out before we dispatch the machines. 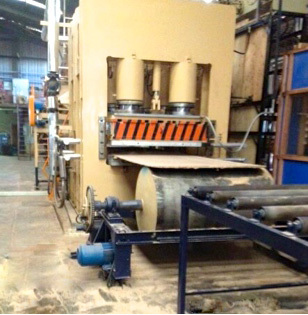 We have both single and multi opening particle board presses. Note: Presses can be made according to customer specifications.